Acquisition Archives - LABORSCIENCE A.E. 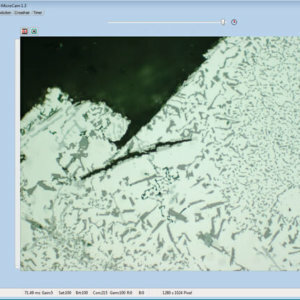 You can connect a large number of different image sources to the dhs Image Data Base: from the digital microscope cameras which are commonplace today (see the dhs-MicroCam range) to simple analogue video cameras (b&w or colour), scanners, digital photo cameras and scanning electron microscopes, through to X-ray machines and interferometers. Image-related data can already be entered directly during image capture. The process is supported by a function key. A large and fast live image ensures perfect ergonomics on the monitor.